In THE YELLOW HOUSE, we visit that house the kids are always afraid to go trick-or-treating at — in this case with good reason. In POST #153, the dead of several wars descend on a VFW post on a stormy Halloween. In OCTOBER 32nd, Halloween night just doesn’t seem to want to end. Three horror stories perfect for Halloween — or any occasion. After all, candy is good any time of year, isn’t it? 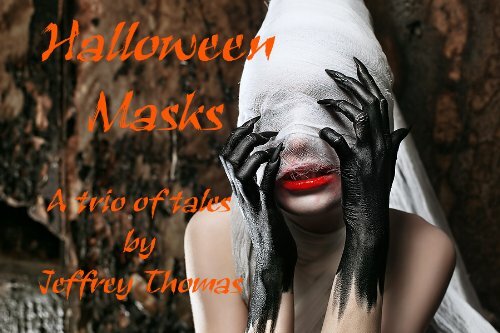 JEFFREY THOMAS is the author of numerous horror and science fiction books, including PUNKTOWN, LETTERS FROM HADES, and A NIGHTMARE ON ELM STREET: THE DREAM DEALERS.